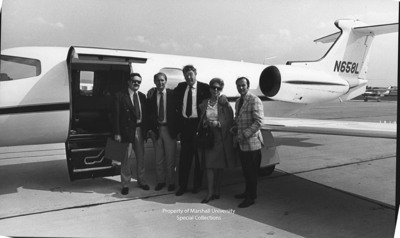 Dr. Charles Hoffman, well-known Huntington urologist, with his wife and friends boarding plane at Tri-State Airport. Dr. Hoffman was president of the AMA (American Medical Association) in 1971-72. His papers and library are part of Marshall University’s Special Collections.